A clean and simple handmade Valentine card that I made for one of my Granddaughters. Designer Paper - Ka Zoo Collection (K & Co.), red card stock. Make an A2 white card base and round the two right side corners with a corner rounder punch. Cut the plaid designer paper (2.5" x 4.25"); cut 2 strips of red card stock (1" x 4.25") and punch one edge with the Arrow heart border punch and adhere to the back of the plaid paper. Attach to the card base. 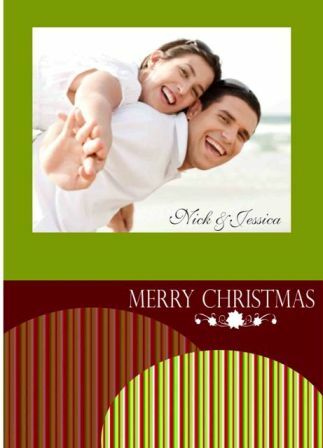 Print image, color and die cut with an oval die. 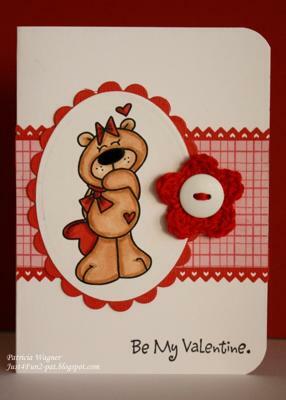 Cut out a red cardstock scallop oval die and attach to the image and adhere all to the card base. Attach the button to the center of the crocheted flower with floss and adhere to the card. I am a creative paper crafter who loves making things to brighten up others' days.